Hitachi presents the Ultrastar SSD400S.B, a new solid state disk with 25nm SLC NAND flash memory from Intel. 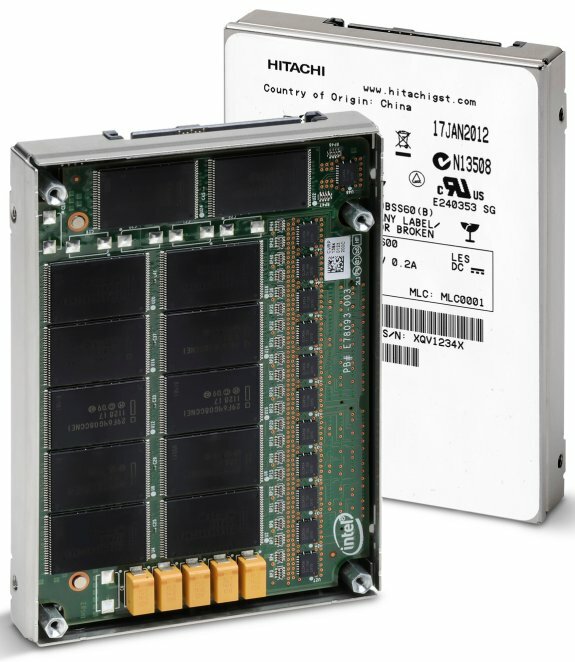 Hitachi Global Storage Technologies (Hitachi GST) today announced its new Ultrastar™ enterprise-class solid state drive (SSD) family, the industry’s first to use 25-nanometer (nm) single-level cell (SLC) NAND flash. The Ultrastar SSD400S.B family combines Hitachi’s proven enterprise hard disk drive (HDD) expertise with Intel’s extensive capabilities in developing high-endurance SLC NAND flash memory and advanced SSD technology.